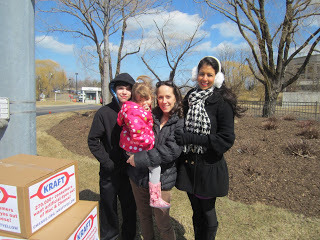 Just got back from Kraft Headquarters in Northfield, IL where Vani Hari, AKA Food Babe, delivered a petition with over 277,000 signatures asking Kraft to remove yellow dyes from all Kraft macaroni and cheese products. Kraft has already removed yellow dyes from their mac-n-cheeses in the UK. Why not the U.S. too? Kraft claims that Americans do not want yellow dyes removed. I beg to differ. Most Americans are just uninformed about the dangers of dyes and the magnitude of products that contain dyes. The warning labels on dyes in the United Kingdom say, “May havean adverse effect on activity and attention in children.” (2) A parent reading this warning on a label is likely going to put that food back on the shelf. Instead of warning (and scaring off) consumers, big food companies like Mars and McDonald’s have chosen instead to use natural colorings in countries where the labels are now required (not in the U.S.). In 2011, the Feingold Association and a few other agencies triedto convince the United States government to at least put warning labels on dyes. (4) It failed to pass by a couple of votes. I guess we’re getting there. Hopefully we’ll catch up to other countries one day and ban them altogether. Food Babe has been trying to sit down with Kraft to discuss the removal of yellow dyes from their mac-n-cheese with no success…until today! With the help of www.change.org and a petition with over a quarter of a million signatures, Kraft finally agreed to let Vani past security and into Kraft headquarters to sit down and chat with Kraft. Chicago’s ABC Channel 7 News and The Chicago Press were there to record the event. The segment will air on ABC some time today. Vani also conducted a taste test in Chicago, sampling Kraft’s U.S. version of the mac-n-cheese with dyes, and Kraft’s U.K. version without the dyes. In all of the taste tests, no one noticed the difference, with or without the dyes. On some of the taste tests, testers actually preferred the mac-n-cheese without the dyes. I hope Vani talking with Kraft raises awareness with these big food manufacturers that we want these harmful additives removed from our foods. Kraft mac-n-cheese is a big one because so many kids are raised on this and if your child orders mac-n-cheese from a restaurant, they very well may be eating Kraft mac-n-cheese. 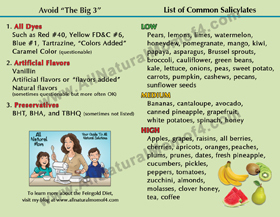 I hope it also raises awareness among parents who may not even realize these dyes are in their kids’ foods, and that these foods are wreaking havoc on their kids. 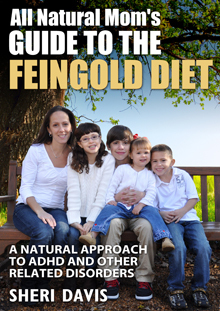 Kraft mac-n-cheese was a staple in our house before starting the Feingold Diet in 2005 when my son was four for ADHD-like behaviors. The Kraft mac-n-cheese was the first thing to go. 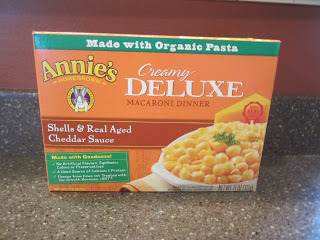 We replaced it with Annie’s mac-n-cheese and we’ve never looked back. Alone we are only one voice, but together we can make a difference! 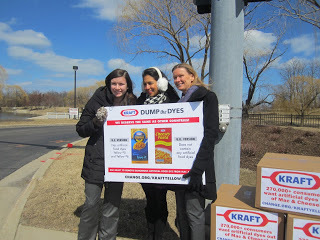 If you want to voice your concern to Kraft and ask them to remove yellow dyes from their mac-n-cheese, you can call them at 847-646-2000. Kraft needs to hear that we as Americans do NOT want yellow dyes in our foods. I called and left a message a couple of weeks ago. I have yet to hear back. You can also leave Kraft a note on their Facebook page. 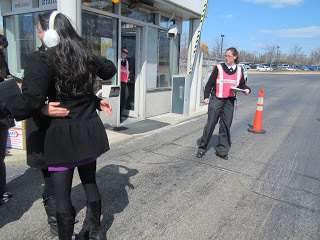 Later this week, Food Babe is meeting with McDonald’s, whose headquarters are in Oak Brook, IL. 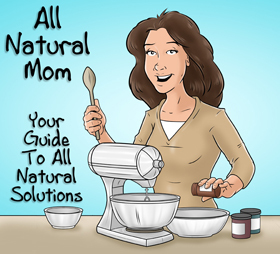 Also, be sure to Like “All Natural Mom” on Facebook. 1. 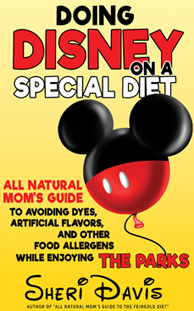 “Food Dyes: A Rainbow of Risks.” The Center for Science in the Public Interest (CSPI). www.cspinet.org.